Towards to the end of last year i got into the habit of reading a bit more; so much so that i was able to complete my Goodreads challenge of 20 books, which believe me is quite an achievement as sometimes i can start a book and not pick it up again for another 3 months. This year i hope to continue with reading more and i thought you might like to see what books I'm hoping to read at some point this year - the descriptions for each book I've had help with from Goodreads. The debut novel by Zoella which has caused a heck of a lot of controversy, my sister got me this for Christmas and it is the type of story that i like, so I've been very intriqued to see what it's like, how it's written etc... Penny is a blogger, she blogs about her life, school and boys under a secret alias of Girl Online, she suffers from anxiety and whilst on a trip to New York she meets Noah and falls in love. I don't actually know too much about this book, i saw it in a charity shop and decided to pick it up as it was by John Green - they are always rated pretty high and i have read a few of his before so i thought I'd see what it was like. From what I've gathered (mostly thanks to Goodreads) it's about two complete strangers who cross paths with the name Will Grayson - from that meeting their worlds collide and lives intertwine. I picked this up for the exact same reason as i did the last one - i like John Green so i thought I'd give it ago, although I'm not too sure what I'm going to think of this one as it's quite a strange story. It's about a boy named Colin Singleton who's type of girls just happened to be the ones called 'Katherine', he's unlucky in love and is always getting dumped by said Katherine's so he goes on a mission to prove The Theorem of Underlying Katherine Predictability, where he hopes to predict the future of any relationship and finally win the girl. It's sounds a bit strange but i think it might surprise me and be quite an interesting read. I've read a few books by Sarra Manning; both YA and adult ones and i quite like her style of writing. This is a typical romance style book; it's about a girl named Ellie who's has a pretty good life; good job, good friends, good hair and a loving family. The only things that lets her down is her luck with men and the famous father she's never met. Her entire life is blown apart when her secret is sold to the highest bidder and splashed all over the tabloids and everyone suddenly thinks shes a gold digging fame whore. Enter David, an ambitious lawyer whose job is to manage the crisis and her. It doesn't take a genius to figure how this is probably going to play out but what can i say I'm a sucker for these kind of books. I really enjoyed 'You Had Me At Hello' by Mhairi McFarlane so I'm really looking forward to reading any other books by her. This follows a girl called Aureliana; returning to school after 15 years for a reunion - her school years consisted of constant bullying. Now grown up and in her 30s - she wants to face the bullies that made her life hell. Completely different to the girl she once was, no-one recognises her - she loses her battle and starts to back out on her plan of revenge. However, fate intervenes and she keeps crossing paths with James - the high school hunk. Again, a typical kind of romance book but she has a really great way of writing. I've been wanting to read this for ages and then Hayley mentioned it on her blog and gave it quite a rave review - from what I've gathered Hayley doesn't tend to read much romance so the fact that she enjoyed it so much makes me think that it must be good. From what I've gathered this is a typical girl meets boy type of story - Anna is less than thrilled to be shipped of to boarding school in Paris until she meets Etienne St Clare; smart, charming and already in a serious relationship. I'm always hearing really good things about Paige Toon so it's about time i checked out some of her books - i have technically finished this book but i wanted to include it anyways. On a trip to London for a wedding Bronte meets newly single Alex and has a one night stand - under the illusion they'll never see each other again they part ways and Bronte returns home to Sydney. Fast forward a year and Bronte is now working as a picture editor for a magazine in London and is joined by a new collegue...Alex, now engaged to the girl he was on a break from. As Alex and Bronte grow closer it's clear they have some unfinished business. Rainbow Rowell seems to have taken the world by storm this past year as I'm constantly hearing rave reviews about her books -- Beth and Jennifer exchange hilarious and detailed emails about their lives at work, despite knowing that they are monitored. Lincoln's job is to read through people's emails; when he comes across Beth and Jennifer's emails he know he shouldn't report it but instead he finds himself entertained and captivated and falling in love with Beth. I'm really excited to read this - i think it sounds like such a lovely read. Now I've come to write this post I've realised i don't actually know too much about this book and what it's about... Enter Goodreads - Cath and Wren are twins who do everything together until recently. Now they're off to University and Wren's decided she doesn't want to be roommates anymore, Wren wants to go to parties and meet boys whilst Cath would rather bury herself in the fanfiction she writes. Cath has to decide whether she's ready to open her heart to new people and new experiences. Again, it sounds like a really good read and i can imagine this being the type of book I'm going to really enjoy. I started reading this ages ago when my sister borrowed it from the Library but i didn't finish in time before it was due back and therefore never finished it but i managed to get my hands on my own copy so i really want to get round to reading it again...Suddenly orphaned and penniless, Jacob Jankowski jumps a freight train in the dark and by morning, he's landed a job with the Flying Squadron of the Benzini Brothers - by evening, he's fallen in love. I love the film version of this so I'm looking forward to reading this and seeing how it differs. There are a few others books i really want to get round to reading but i don't actually own those yet so for now these are what are in my 'to-read' pile. I've set myself another Goodreads Challenge which you can follow the progress of here - i went a little wild and aimed for 25 this time round. Let me know if you've read them or if you have any other book recommendations! I've only read the one by Paige Toon - definitely need to check her others out as i really enjoyed it! I have read Will Grayson, Will Grayson and personally I loved it! It's a little different from John Green's other books but it is also very clever and interesting. I also really want to read Rainbow Rowell's books as, similarly to you, they sound like exactly the type of books I would like. 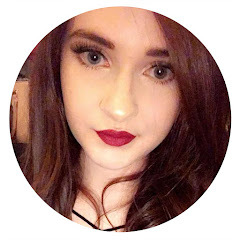 I've only recently come across your blog and would just like to say I really love the variety of posts you publish and the detail you put into them! Aw thank you! Im looking forward to reading them. Here's Looking At You, Fangirl & An Abundance Of Katherines are all really good :D Will Grayson, Will Grayson is on my Kindle ready to be read at some point this year too! I'm looking forward to reading all three! You'll have to let me know your thoughts on Will Grayson, Will Grayson if you get round to it before me!